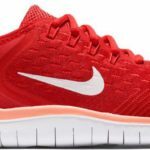 If you’re not quite sure which Nike shoes are the best for your flat feet, I might just have the answer. 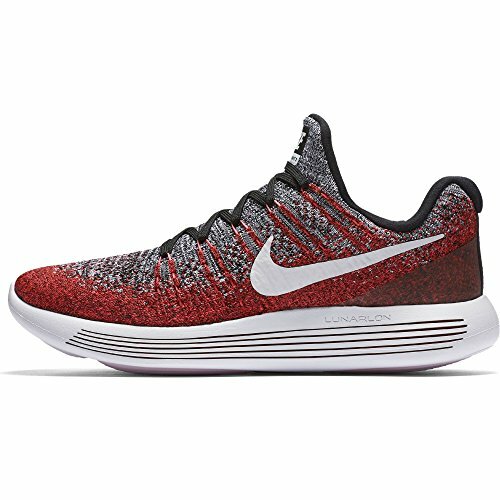 After lots of research, I’ve sorted through the options to pinpoint the ultimate Nike shoe for people who suffer from overpronation, and it comes in the form of the Nike Lunarepic Low Flyknit 2 Running Shoe primarily because of their inner shape. 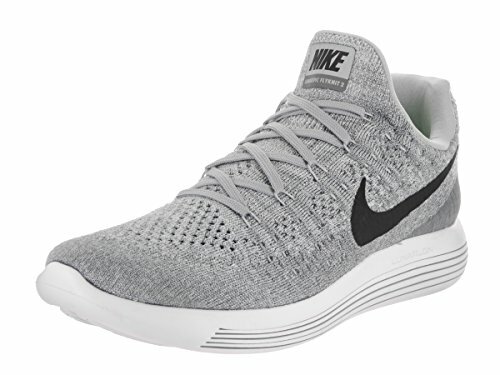 As a part of their Stability line-up of running shoes, the Lunarepic Low Flyknit 2 running shoes comfortably cradle flat feet to give superior support. But don’t just take my word for it – find out what I learned about these scientifically engineered shoes after putting them to the ultimate test. When you first set your eyes on the Lunarepic Low Flyknit 2, you’ll see that it’s undeniably one of Nike’s best looking shoes. The Flyknit textured material is without a doubt one of the most aesthetically appealing on the market. So despite being specifically engineered for flat feet, the shoes don’t sacrifice any style. The lacing system is sleek and secure against the uppers, making the shoe look more like one solid piece. The rubber soles connect to the uppers seamlessly for a streamlined appearance, giving the shoe a slim silhouette that looks clean and lean especially when worn. What makes the Nike Lunarepic 2 such a great pick for buyers with flat feet is because it fits almost like a sock. The materials are soft and snug, hugging your feet securely to give you extra support. Inside the shoes, the cushioned insoles are just as soft and comfortable as the uppers. In fact, I’d say that running in these shoes almost feels like you’re walking on clouds. The plush cushion paddings – while very responsive and soft – also provide just enough support for flat feet. The curves are specially designed to accommodate overpronation, so you can enjoy greater comfort and support that will keep you going greater distances minus the sore feeling in your soles. Doing away with the traditional tongue design, the Lunarepic features a one-piece construction. This eliminates the need to constantly reposition a stubborn tongue that keeps moving out of place. 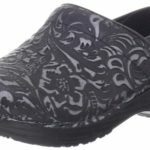 Ultimately, it results in a more comfortable running and walking experience, with the entire shoe hugging snugly against your foot minus all the folds and creases. The only issue I encountered with fit is the low shaft. With such a low collar height, the shoes don’t really provide enough protection against inversion and eversion. 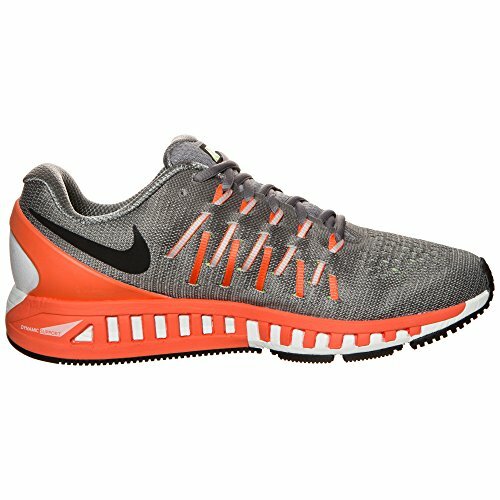 Nike is known for their ability to expertly design shoes that make activities like running less taxing on the body. With the Lunarepic 2, they take energy efficiency to new heights with an ultra lightweight construction. On the feet, the shoes barely feel like you’re wearing anything at all. Without all the added weight, the shoes are a dream to run in. Of course, there is a trade off. Without all the heavier materials holding the whole shoe down, durability does take a toll. So if you were planning on using your Lunarepics on the daily, they might not last you as long as you would have hoped. One of the reasons why people with flat feet find it so challenging to engage in activities like running is because of the impact. With every step, the soles of the feet are subjected to pressure that might be a little more painful for people with overpronation. To help out with this problem, the Lunarepic maximizes impact absorption, giving you superb protection against impact even during high intensity running. 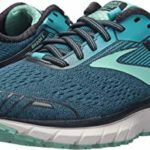 The cushions and outsole are unbelievably accommodating of weight and pressure, so you won’t feel any foot fall onslaught no matter how fast you’re running. However, despite being so great at impact absorption, it seems the Lunarepic 2 falls short of rebound. During light jogging, the shoes didn’t feel like they gave much bounce at all. So although they can keep your soles from getting a beat down with each step, they also require a lot more energy because you have to put in more effort during lift off because of the lack of responsiveness. Stability insole design perfectly accommodates flat feet so you can comfortably run in confidence. Lightweight construction reduces fatigue and makes running feel effortless and natural. Superb cushioning system reduces impact on your feet, giving you extra protection against overpronation pain. Comfortable insole padding makes the shoes very comfortable to use for everyday purposes. 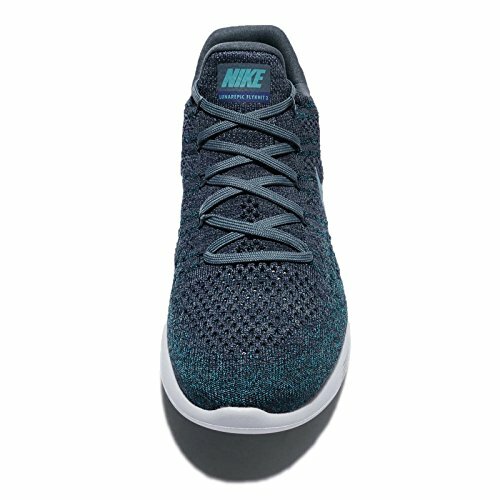 Breathable Flyknit upper material gives great ventilation, eliminating discomfort from sweat and moisture. Killer Nike aesthetics makes the shoe a really handsome choice even for casual outfits. Low collar doesn’t give sufficient ankle support. Lacks responsiveness, dampening momentum as your feet hit the ground. Not as durable as heavier options. 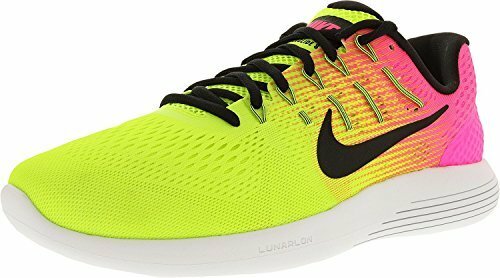 I honestly think that the Lunarepic is the best Nike shoe there is if you suffer from flat feet. But during my research, I did come across a few other Nike shoes that might fit the bill. 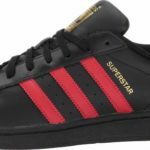 These three shoes came close to winning the top spot because of their intuitive design, but a few minor design flaws made them fall short of first place. 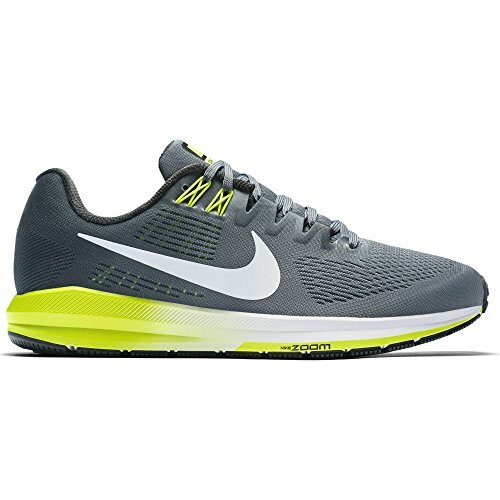 If you want something with a little more weight and structure, the Nike Air Zoom Structure 21 Running Shoes’ classic silhouette might just be the best pick for you. These shoes offer satisfying arch support with its heightened cushion insoles. And as if that wasn’t enough to take your foot shape into consideration, the design is also available in wide and extra wide sizes for people with wider toe spans. The soles on the Structure 21 are much thicker and more durable, able to give greater bounce to your step. The curved outsole surface also improves energy conservation, giving you greater spring to bounce off with each new stride. 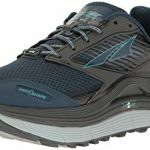 The only reason why this shoe didn’t make the cut as the best shoe for overpronation is because the previous model – the Structure 20 – had slightly more accommodating insoles that catered even to those with severe overpronation. Plus, the shoe’s sole lacks sufficient traction, so there is a chance of slipping on wet terrain. Durable running shoes with greater structure for long-term use. Available in wide and extra wide to accommodate different foot shapes. Curved outsole for improved energy conservation, giving you a springier step for a less taxing run. 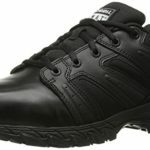 Mesh sleeve that lines the inner surface gives the shoe excellent grip and stability. Not quite as ideal for individuals with severe overpronation, unlike its predecessor, the Structure 20. 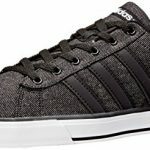 The outsoles aren’t designed for traction, so they may cause some slippage. 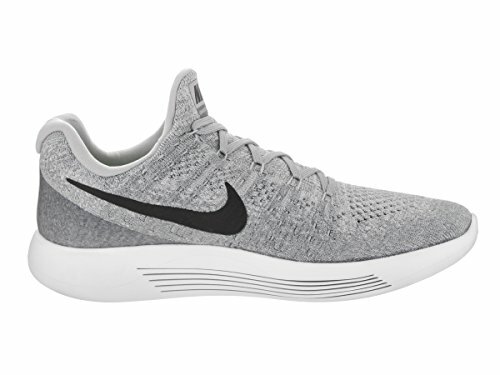 Much like the Lunarepic Low Flkyknit 2, theAir Zoom Odyssey 2 Running Shoes feature the same sock-like one-piece design that makes it comfortable, lightweight, and breathable. 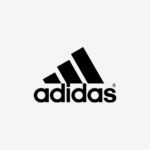 Its midsole and outsole construction gives just the right bounce and resistance, without letting you lose a feel of the surface you’re running on. 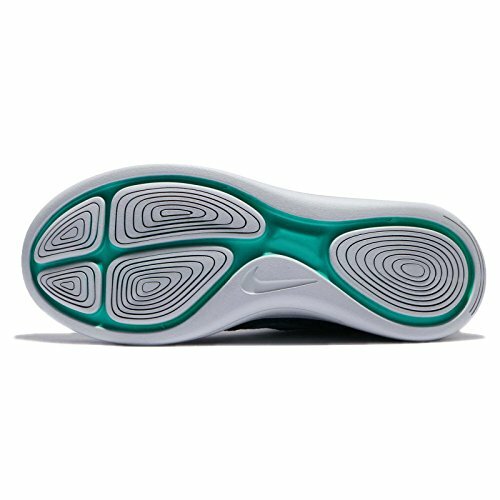 Inside the shoe, a raised insole lays comfortably against the feet to accommodate overpronation. The only problem is that because the shoe can be quite light, the Nike Air technology may give it too much bounce that can cause instability for fast paced running. Lightweight design reduces the effort it takes to lift your feet off the ground during sprints. Comfortable fit that hugs the foot for a secure and reliable hold around your heel and ankles. Sufficient support for flat feet reduces the pain and pressure that overpronation usually causes. Might be a little too responsive, causing some instability during high intensity running. TheLunarglide 8 was probably one of Nike’s most popular shoes for overpronation. The design uses mesh and synthetic materials for its uppers, and a round edged rubber sole with 5 separate pods for texture. 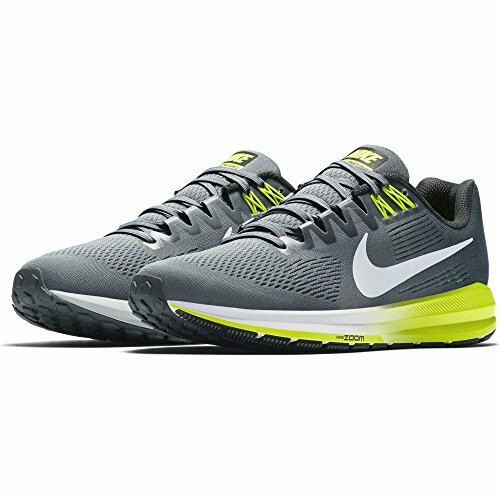 Much like the other previous shoes, the Lunarglide 8 is lightweight, breathable, and amply padded for greater comfort and support. However, the shoe tends to collect small rocks and rubble as you run, as the treads aren’t tight enough to resist them from squeezing into the spaces. Another thing is that the shoes aren’t as durable as other shoes designs from the brand, falling apart just months after purchase. Nonetheless, they do provide enough support for flat feet. So if you don’t mind repurchasing again within the next few months, they might not be so bad. Features the same lightweight construction that most other Nike shoes have become popular for. Breathable mesh material reduces sweat production and keeps your feet comfortably cool for long distance running. Sufficient support for overpronation, even accommodating feet with more severe cases. Satisfying impact absorption and bounce, just enough to help maximize your energy and keep your feet protected from pressure. The sole treads are poorly designed, making way for rocks and rubble to get caught in the texture. Not necessarily designed for long term use, the shoes can give in to wear and tear pretty fast. It is without a doubt that Nike is one of the leading brands when it comes to catering to all foot shapes and types. 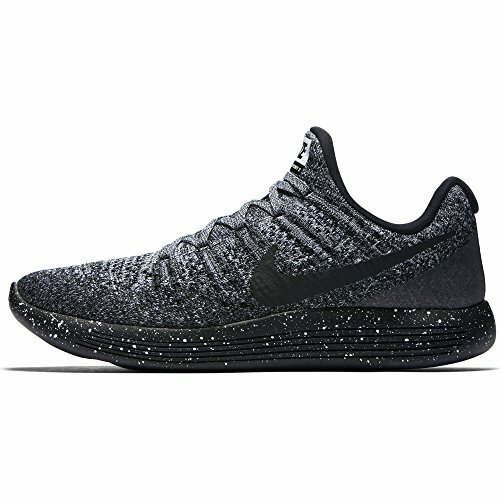 While they do have quite a number of shoes that can be great choices for people with overpronation, the Lunarepic Low Flyknit 2 Running Shoe has to be the best one in my opinion. 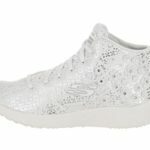 I put the design up against a number of other Nike shoes for flat feet, but it stuck out as the best choice not only in terms of support and protection, but also when it came to overall performance. So if you’re in search of a sound investment for your flat feet, make sure to check out the Lunarepic Low Flyknit 2 and find yourself a worthy purchase.